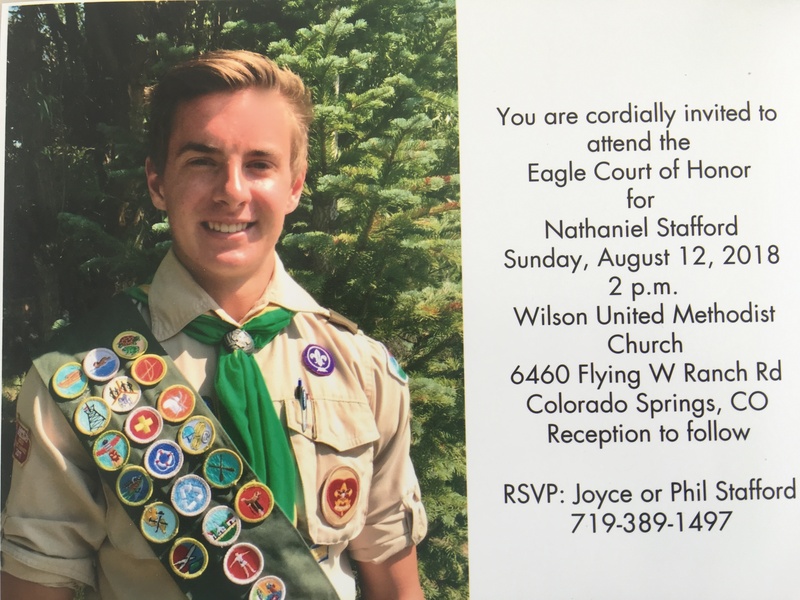 Just a reminder that Nate Stafford’s Eagle Scout Court of Honor is on Sunday the 12th at 2pm. I would encourage you all to attend. We also need at least 4 scouts to be in the Color Guard for the ceremony. Please sign up here if you can be a part of the color guard for this important ceremony. Eagle Scouts can also participate in the color guard! Welcome to the website of Boy Scout Troop 287 at Wilson United Methodist Church, located on the northwest side of Colorado Springs, CO, in school districts 11 and 20. We are in the BSA Pikes Peak Council, Frontier District. To the left, you can view our news and events. Below you can browse information about our troop, subscribe to our blog by email, download documents, and access useful links. 6460 Flying W Ranch Rd.